At the entrance of the intake bay, a wooden weir was put in place. The weir was put at a certain level to create the desired skimming. This holds all the debris knocked loose, making for easy cleaning. This was added to the pond and it helps to break down nitrogen and nutrients. It starts at the Aquablox level where water flows up from, then the water flows up the layers of gravel, and finally to the plants on top. All of these layers filter the water, and as time goes on the plants will become more established, creating better filtration. 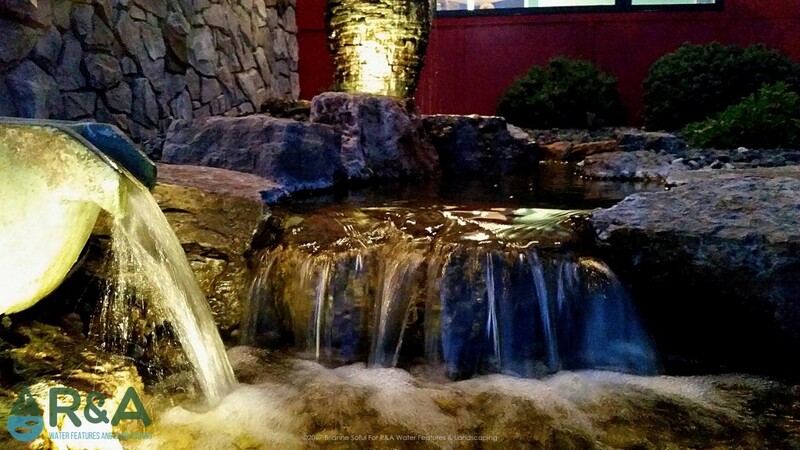 A waterfall was added to help re-oxygenate and circulate the water. 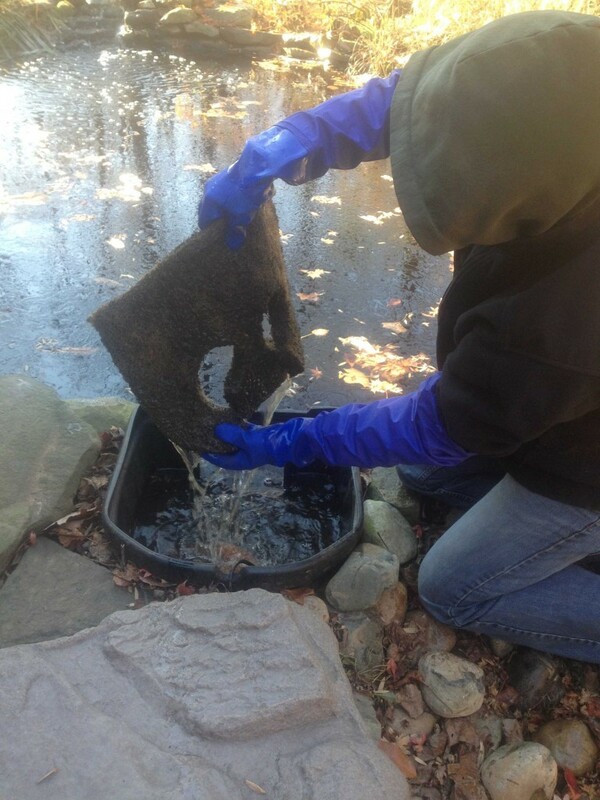 This is called aeration and is very important for the health and survival of any pond. The circulation moves debris towards the skimmers. Yes, jets! There was a stagnant area on one side of the pond. To help fix this problem piping was run around the perimeter of the pond and the jets were placed at 20′ intervals. This helped push the debris toward the filtration area. 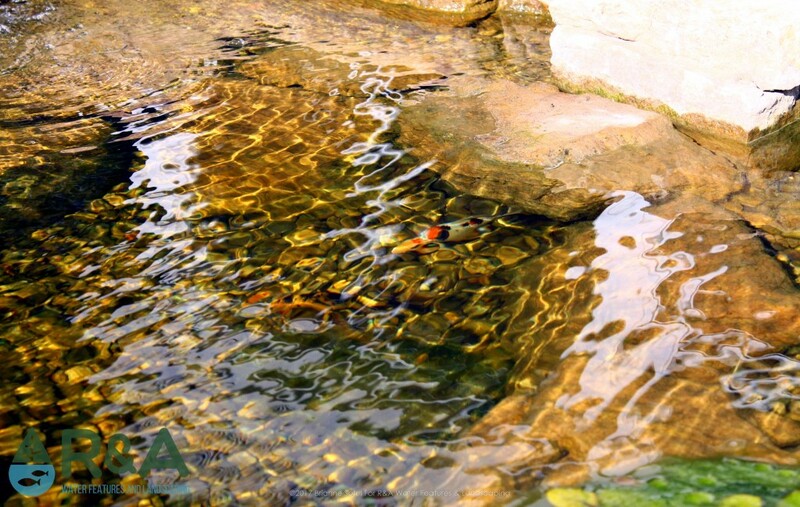 These 4 features can greatly improve your pond. They clean, filter, and create movement. For a bonus, they can also add interest to your pond. Moving water is more fun to look at than still, stagnant water, plus wetlands are another area where you can place more aquatic plants. Add these to your pond and lower your maintenance!